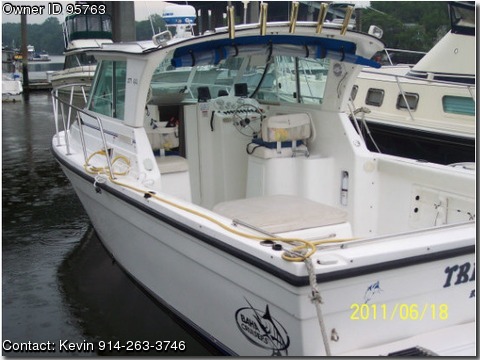 Call Boat owner Kevin 914-263-3746. My boat is in amzing condition. Proffesionally maintained at the marina, oil and filter changed every 50 hours Comes with s coastal package, Bow Thruster, New Furuno 1623 Radar, New Lewmar winch 1000, Garmin 192 gps, Garmin fish finder 340c, custom camper canvas, great fishing machine with 85 sq foot fishing area! boat located in CT.
Powered by Mercury Herizon 6.2 320 ci motor, with low hours. $54,500.00, but willing to negotiate with reasonable offer.